Coverage: Live commentaries of all the big races on BBC Radio 5 live and online with live text commentary on 11 April. Sam Winner has been withdrawn from Saturday's Grand National at Aintree and will instead race in the Scottish National at Ayr a week later. 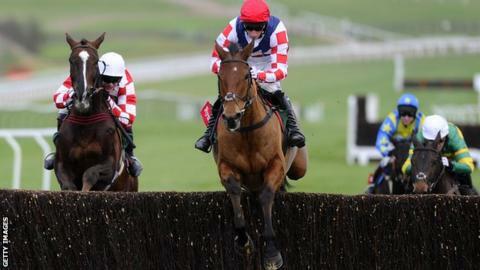 The eight-year-old was pulled up at the Gold Cup and trainer Paul Nicholls decided the horse will not race. Nicholls still has a number of leading chances for the steeplechase, including Rocky Creek and Unioniste.